In response to a written question from a DA MP in the national council of provinces, rural development and land reform minister Gugile Nkwinti said 20 land-reform farms had been abandoned and 114 are considered unproductive. And when you stop shaking with righteous anger, we'll tell you that was only in the Free State. Naturally, we took a closer look. By SIPHO HLONGWANE. The issue of land redistribution is a prickly one – perhaps the prickliest in our agricultural setup. Often the most emotive clashes around the issue of transformation in South Africa have been when one group of people says they were evicted from certain pieces of land (which, in the meantime, became successful commercial farms), and another group makes some sort of private property argument. Heads have been lost and strong words have been exchanged over the issue of land. Fortunately, most of the country has simply moved on, allowing those who really want to be in the business of farming to work the land redistribution plough, as it were. Or so one would imagine. There’s the question of what happens to the land once it’s returned to the people. Darryl Worth, DA representative for the Free State in the NCOP, asked Nkwinti whether any “previously productive farms purchased by the government in the Free State since 1994 under the Land Reform Programme are now (a) abandoned and/or (b) unproductive… (i) how many in each case, (ii) what are the reasons for this”. According the department in charge of such things, 20 farms have been completely abandoned and 114 are headed in that direction. By far the main reason for farms becoming unproductive is given as “limited production capital and limited skills as well as mentorship”. A “lack of funding” is the reason given for most of the abandoned farms. Cutting away at government’s own confusion over definitions (what is the difference between a lack of funding and a limit to production capital, for instance, when one can buy the other? ), and letting alone some of the more hilarious reasons given for defunct farms (“Group dynamics and in-fightings”), the reasons why most of these farms failed is because of a lack of capital – in production and actual money. People either didn’t have the money to run their newly acquired farms, or didn’t have the skills or both. A terrible indictment on the government, the guardian and facilitator of this process. Putting these numbers into context is a little challenging as it seems unclear to the provincial and national departments themselves exactly how many land-reform farms may be considered successful and how many are failing. What is perfectly clear is that the stories of failure abound. For instance, according to the government’s annual report for April 2009 – March 2010, the department has a land reform budget (combining grants and land bought directly under the Proactive Land Acquisition Strategy) of R2.434 billion. Of that, R208 million was diverted to the Land Bank to pay for farmers who were facing repossession. Another R250 million went to PLAS farmers, who weren’t doing so well, thus requiring even more recapitalisation. “The reprioritisation of the budget negatively affected the targets set for land to be acquired as the budget is linked with price per hectare and provincial offices had to stop approving new projects for the 2009/2010 financial year,” the report reads. According to a statement on the DRDLR’s website, under the “Recapitalisation” tab, the department wants to save redistribution projects that are in distress by pouring even more money into them, and by calling for more mentors to help save the farms. However, this may not be what the recapitalisation and development programme was intended for, at least initially. In his 2010 budget speech for his department, Nkwinti introduced the RDP programme as a lifeline for collapsing land reform and irrigation schemes in former homelands. A quarter of the department’s baseline land acquisition budget was devoted to this project. The farms mentioned by Nkwinti in his parliamentary reply are not exactly located within the former homelands (Kroonstad, Ventersburg, Harrismith, Brandfort and Bloemfontein are just some of the areas that crop up). Once again, we see funds being diverted to save a sinking ship. 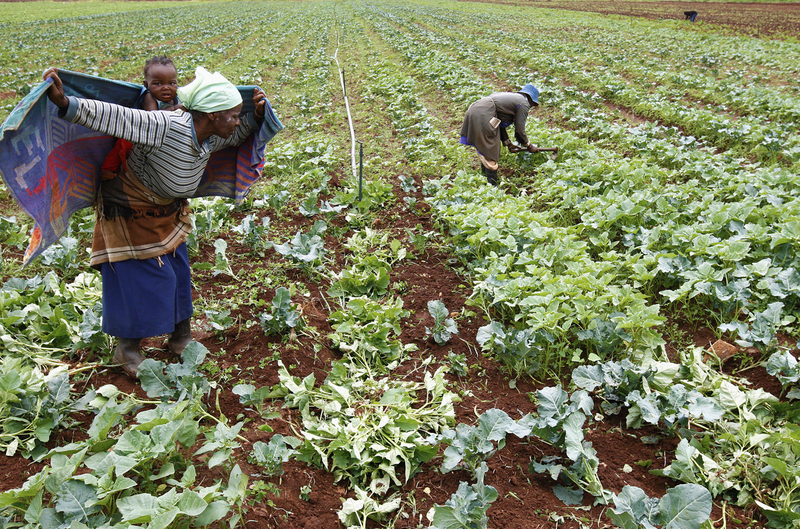 Previously AgriSA, the agricultural trade union, has called for greater cooperation between government and the private sector, saying drastic measures in land reform were in nobody’s interests. The body declined to comment on the matter, choosing instead to refer The Daily Maverick to its affiliate in the Free State, the Vrystaatselandbou-unie (Free State Agricultural Union). Jack Armour, the operations manager for land reform at union said there were limited mentorship programmes between the unions and its affiliates with the department of agriculture. It’s difficult not to conclude that the land reform project, as it currently stands, has been a very expensive mistake. By the government’s own admission, most of the farms transferred have failed. Things are so serious now the question of food security has crept into the discussion. Ideally, the government should put a halt to its land reform and break out the whiteboard and pens for a policy rethink. But that’s not going to happen, and to understand why, one has only to look at who votes for the ANC at election time. The ruling party always struggles in the cities, but absolutely sweeps away the competition in the rural areas. It’s pretty obvious why – the gap between the haves and the have-nots (essentially, the economic gap between black labourers and white farmers) is starker, and the need for the constituency to vote along “transformation” lines is more acute. Taking land reform away would not sit well with the ANC’s rural voters. Given that they’re in a bit of a spot on this one, the recapitalisation drive isn’t a bad idea at all. New farmers need more capital input, but they need training and mentorship even more. One of the greatest mistakes made in this field was the alienation of white farmers who hold the knowledge and the skills at an early stage (and yes, Zimbabwe didn’t help at all). Mentorship programmes and training for emerging black farmers is the way forward, and for that they do need the old white boere. Read more: Politicsweb, Nkwinti’s budget speech for the department of rural development and land reform for 2010, The DRDLR on Land Recapitalisation, The Daily Maverick, Mail and Guardian.